Over the past five legislative sessions, Texas House Democrats have gone from being a full-fledged legislative partner of Speaker Joe Straus, R-San Antonio, with near-veto power over most legislation, to a garden-variety opposition party on the losing side of a majority of bills. At the same time, the most conservative Texas House Republicans have gone from losing significantly more than average Democrats to being on the winning side much of the time. As in prior legislative sessions, Speaker Straus used his control over the House agenda this year to block a host of bills championed by the GOP’s movement conservatives. However, unlike in prior sessions (especially prior to 2015), when Team Straus’ blocking of these bills was as much a form of appeasement for its Democratic allies as it was a reflection of its own policy preferences, this year’s demise of bathroom, school choice, property tax reform and related bills near and dear to movement conservative hearts had much more to do with Team Straus’ policy preferences than with Democratic opposition. Over time, Straus’ rising support within the GOP caucus has lessened his need to placate Democrats in order to retain the speakership and effectively run the Texas House. In January of 2009, Texas House Democrats had quite a bit to feel good about. Barack Obama had just been inaugurated as president and an overwhelming majority of Democratic state representatives had joined forces with a small dissident faction of centrist Republicans to remove Speaker Tom Craddick, R-Midland, from power and replace him with Straus. Texas may have been a red state in 2009, but the tenor and legislative production of the Texas House was decidedly purple, as Democrats enjoyed de facto veto power over most bills. This is reflected in the chart for the 81st Legislature (2009-2010) where the representatives are arrayed from most liberal to most conservative based on their Liberal-Conservative Score, with blue (Democrats) and red (Republicans) bars indicating the proportion of final passage votes (FPVs) where each representative cast a vote and was on the winning side (i.e., the representative’s win rate). During that legislative period, the median Democratic win rate was 96 percent while the median Republican win rate was a substantially lower 64 percent. In 2009, the median win rate of the least conservative quartile of Republicans (77 percent) was 19 points below the Democratic median while the median win rate of the most conservative quartile of Republicans (51 percent) was 45 points below the Democratic median. In 2011-12 and 2013-14 Democrats remained key coalition partners of the Straus leadership team. This reality is reflected in the chart for the 83rd Legislature (2013-14), where the median Democratic win rate of 93 percent (up from 78 percent in 2011-12) was higher than the median Republican win rate of 85 percent (up from 82 percent in 2011-12). As was the case in 2009, the median win rate of the most conservative quartile of Republicans of 68 percent was significantly lower than the 95 percent median win rate of the least conservative quartile of Republicans — as well as the median Democratic win rate. 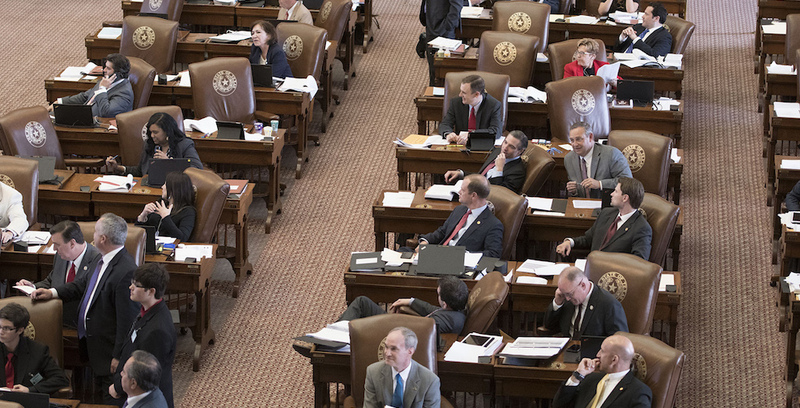 In 2015, dynamics in the Texas House began to change. First, Straus had over time consolidated greater support within the Republican delegation, to the point where he enjoyed the backing (both enthusiastic and grudging) of a robust majority of the members of the Texas House Republican Caucus. As a result, he was no longer as reliant on Democratic support to maintain his control of the House as he had been earlier during his tenure as speaker. Second, the Texas Senate’s leadership shifted in 2015 from Lt. Gov. David Dewhurst to Lt. Gov. Dan Patrick. While Dewhurst is a centrist/establishment conservative like Straus, and generally did not use all of the levers of power at his disposal to influence the legislative agenda, Patrick is a tea party/movement conservative, who has no reservations about fully using the powers granted to him by the Texas Constitution, statute and Senate rules. As a result, Straus’ control over the legislative agenda was eroded by Patrick’s ability to rapidly pass conservative bills and send them to the House, rally Republican activists and legislators in support of conservative legislation and block/delay House bills in the Senate. These changing dynamics are reflected in the figure for the current 85th Legislature. During the past session, the median Democratic win rate was an anemic 35 percent (down from 52 percent two years earlier). In contrast, the median Republican win rate was 89 percent (up from 84 percent in 2015-16). And, while once again the most successful group in the GOP was the least conservative quartile, with a median win rate of 93 percent (up from 90 percent in 2015-16), in 2017 the most conservative quartile of Republicans had a median win rate of 78 percent (up from 71 percent in 2015-16), which was 43 points greater than that of the median Democrat. Even the Texas Freedom Caucus had a median win rate (72 percent) double that of the median Democrat in 2017. A constant since 2009 has been that legislation approved by the Texas House has largely reflected the preferences of the Republican Party’s centrist conservative wing led by Straus. What has varied has been the extent to which this legislation also has reflected the preferences of House Democrats. Between 2009 and 2013, most legislation passed out of the House also reflected the preferences of Democratic representatives — not as closely as it reflected the preferences of centrist conservative Republicans after 2009, but pretty close, and definitely closer than it reflected the preferences of the most conservative Republicans. However, since 2015, and especially during the 2017 session, a majority of the bills passing out of the House have not been in line with the preferences of Democrats there. Since 2015, and especially since 2017, the dominant coalition in the Texas House has often been between centrist and movement conservative Republicans, with Democrats now much more likely to be on the losing side of final passage votes than even the very most conservative Republicans. Movement conservatives are still seeing many of their priority bills die on the vine in the House, but they are less frequently steamrolled on bills they oppose. Sponsor Content: Succession planning: What’s your exit strategy? 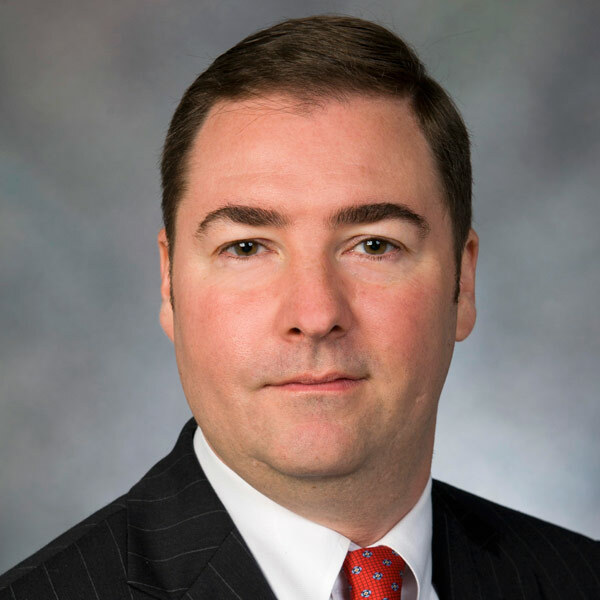 Bill Rolley, Texas Capital Bank, Bill Rolley is a Senior Relationship Manager at Texas Capital Bank. Brad Shields, Texas Association of Freestanding Emergency Centers (TAFEC), Brad Shields is the Executive Director of the Texas Association of Freestanding Emergency Centers (TAFEC).